Professor of Family and Community Medicine and Associate Dean for Clinical Education and services, Dr. Schwartz is the Chair of the Department of Family and Community Medicine. Dr. Schwartz was the founding Chair of Community Medicine at the University of New England’s New England College of Osteopathic Medicine. He has served as Vice-President of Midwestern University and as Chair of Family Medicine at the Chicago College of Osteopathic Medicine and the Arizona College of Osteopathic Medicine. He is a fellow of the American College of Osteopathic Family Practitioners. Dr. Schwartz has demonstrated his commitment to service to the underserved through his work as CEO of the Southside Health Consortium (Now the Illinois Health Consortium), The Chicago Area Health Education Center, and through his work as Medical Director for Medical Services at the Arizona State Hospital. He has served as Chief Executive Officer of University Faculty Consultants, a medical services provider, and as CEO of First Choice Physicians IPA and Chief Medical Officer of Health Choice, an Arizona AHCCCS contract provider. Dr. Schwartz has served as principal investigator for many Health Resources and Services Administration-funded projects in education and research. His research interests include medical curricula and the use of technology in learning. He and his wife, Arleen, live in Paradise Valley, AZ. For 25 years after graduation Dr. Bennett practiced in the most financially challenged, isolated and underserved regions of rural Arizona while being medical director for a group of thirteen multispecialty rural clinics scattered across the state, as well as recruiting physicians to these areas of need. He has spent over a decade on rural hospital boards of trustees and participated in the design, financing and building of Payson Regional Medical Center. He has also served as chief of staff at three separate rural hospitals and donated his services as deputy coroner for Northern Gila County. Dr. Bennett is currently on the Board of Trustees of the Arizona Osteopathic Medical Association and is a past president, having also served as a delegate to the American Osteopathic Association Board of Trustees. He is a founding member and distinguished patron of ATSU-SOMA. He has participated in SOMA’s efforts at technology enhanced active learning from its inception and written course curricula for both first and second year medical students. Dr. Rachman has more than 20 years experience in primary healthcare delivery and administration, and extensive experience in community health center leadership, and in directing community health center programs and projects including research initiatives funded by NIH and CDC. 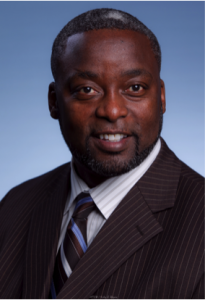 He also serves as co-director of the Chicago Health Information Technology Regional Extension Center. 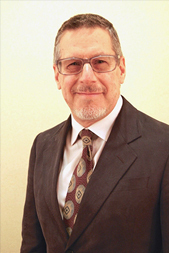 Dr. Rachman received his bachelors of arts degree in biology from Johns Hopkins University, Baltimore, Md. ; his doctor of medicine degree from Temple University, Philadelphia, Penn. ; and completed his residency in pediatrics at Albert Einstein Medical Center, Philadelphia, Penn. He is board certified in pediatrics and completed post graduate courses in ethics, economics and healthcare management at Harvard University School of Public Health. 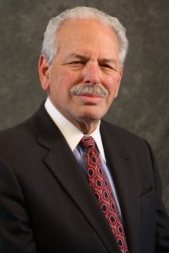 Dr. Rachman previously served as medical director at Howard Brown Health Center and Erie Family Health Centers. He also was a field representative for the Joint Commission conducting accreditation surveys and providing field education from 1998 through 2006. Dr. Long completed his medical degree at Rush University in Chicago and then finished his Internal Medicine/ Primary Care Residency at John Stroger/Cook County Hospital, with a focus on HIV/AIDS care. Dr. Long promotes improving quality healthcare in our network of community health centers through the consistent use of national standardized protocols to serve as a basis for computerized clinical decision support. He is a strong supporter of patient engagement through the use of real-time use of the EHRS, advancement of Patient-Centered Medical Home and promotion of healthcare for the underserved. Dr. McCoy is the Associate Director for Faculty Development at A.T. Still University’s School of Osteopathic Medicine in Arizona (ATSU-SOMA), and Assistant Professor of Medical Humanities and Healthcare Leadership. 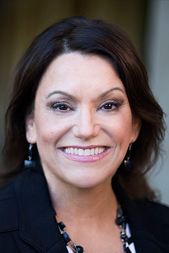 After 30 years of experience in the field of education, Dr. McCoy completed her doctorate in Leadership and Innovation in Higher Education at Arizona State University in 2014, with a focus on virtual patient simulations, clinical reasoning, learner engagement, and collaboration. As the Chair of the Technology-Enhanced Active Learning for Medical Education Committee at ATSU-SOMA, Dr. McCoy inspires education research projects that focus on the development of innovative teaching methods. Mr. Normore is the inaugural director of diversity at A.T. Still University’s (ATSU). He began his current position on September 10, 2013. In his new role Mr. Normore will be in charge of collaborating on diversity issues and working with leadership to develop a comprehensive plan to implement diversity goals to support ATSU’s mission of service. 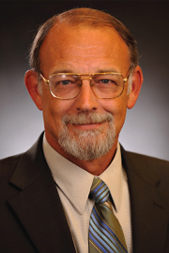 In August 2014, Mr. Normore was also appointed to the faculty of the Missouri School of Dentistry & Oral Health. Since joining the ATSU community, Mr. Normore has been instrumental in developing a framework for diversity and a diversity strategic plan. Clinton completed his athletic career at the University of Kansas where he was a starter on the football team and point guard on the 1988 Championship Basketball team. In 2004 Clinton was selected the 64th best athlete in Wichita’s history. He served as a police officer in Lawrence and Wichita Kansas where he earned the distinction of being elected class President of both training academies. As a Wichita Police Officer he was appointed to a position on the Mounted Patrol Unit. In 1999 Clinton was named Women’s Head Basketball coach at Heritage Hall High school, in addition to teaching Physical Education. In 2001 he pursued an opportunity to work at Oklahoma City University as Coordinator of Intramural Sports & Recreation. During his tenure Clinton held many positions in the division of student affairs and served on numerous committees. As Director of Multicultural Student Affairs he was responsible for international student life, the Clara Luper and American Indian Scholarship Programs and advised 12 student organizations. His leadership in the development and daily operation of the department of Multicultural Student Affairs helped to enrich campus culture. His department provided leadership and long rang planning in the area of diversity. He served as a member of the University Leadership Team, the University’s Strategic Planning Committee, and as Co-Chair of the President’s Council on Diversity. Clinton has presented diversity workshops for campus constituents, professional organizations, corporations and educational institutions. Mr. Normore was also President of the Oklahoma Diversity Officers Practitioners Consortium (ODOPC). Mr. Normore also served as an assistant women’s basketball coach for the STARS from 2008-2012 winning a national championship during the 2011-12 season. Clinton has a Bachelor of Science Degree from the University of Central Oklahoma and a Masters in Business Administration from Oklahoma City University. He is married with three children. 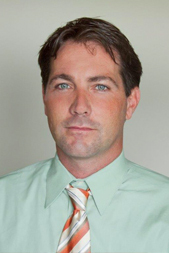 Aaron Hunt, PhD, MPH, PCTE, completed his PhD in public health at the University of Nevada, Las Vegas. Dr. Hunt has been contributing to the development of new cases and management of the VCHC since 2018. He has experience working for HRSA and NIH funded HIV/AIDS prevention programs in both the United States and Nigeria. 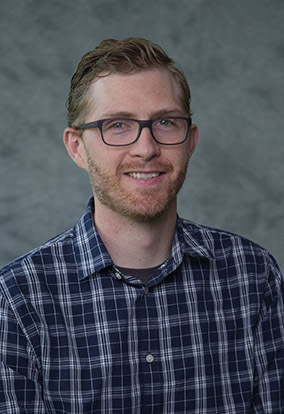 His current research focuses on improving maternal child health outcomes and reducing health disparities through the use of mobile health technologies.